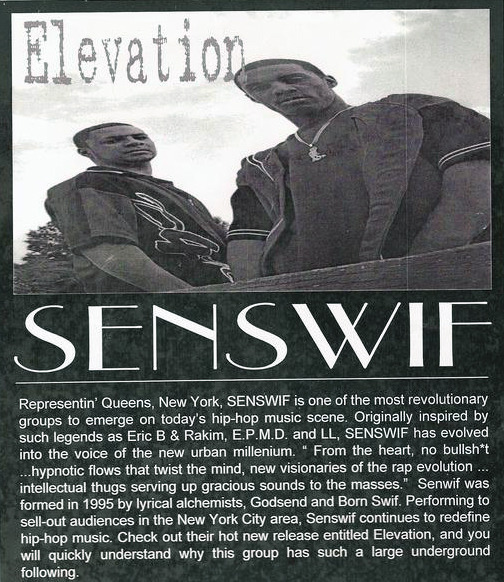 In the early 90s, two brothers named GodSen and BornSwif from B&R in Flushing Queens formed a rap duo called SENSWIF. 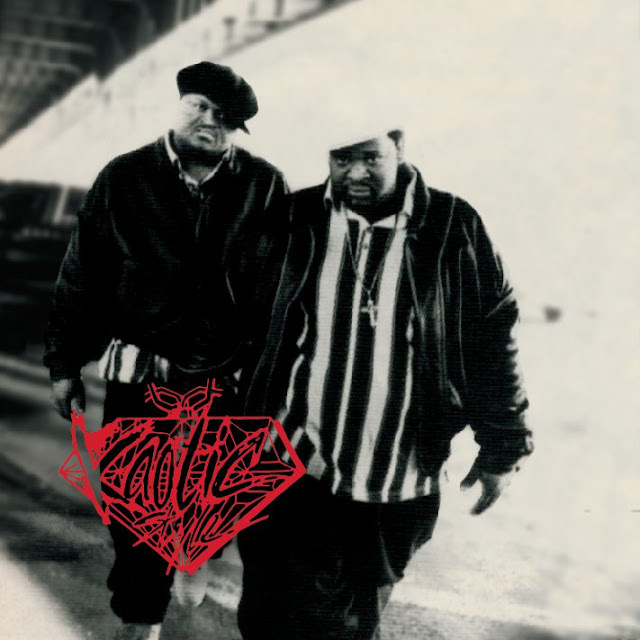 They dropped their first and only 12" in 1997, composed of two songs, 'Elevation' on the A-side produced by Lord C. Black, a friend they went to school with, and 'Maintain' on the flip side produced by Mike Mass who is also their brother. 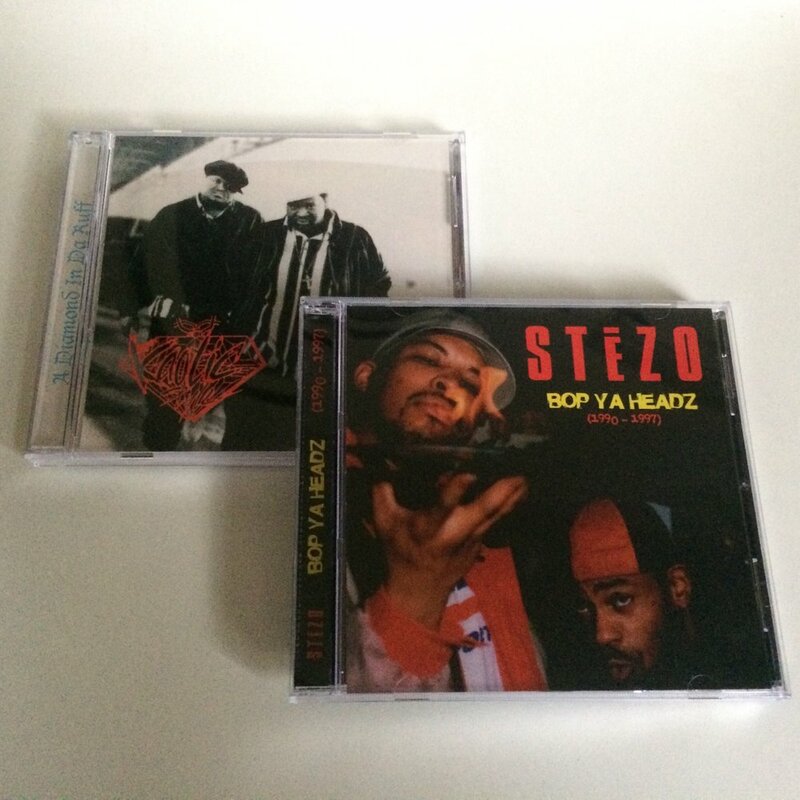 BornSwif :" We began this journey in the early 9o's when hip hop was cool to listen to. 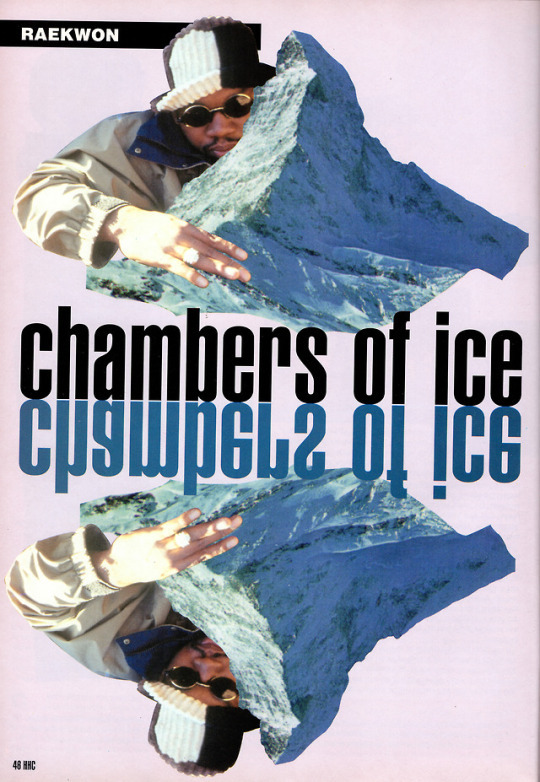 Our style was called SAP, a singing form of Rap... Lyrics with harmonious patterns and deep meaning. We love to harmonize and it was like we were singing and rapping simultaneously. The streets were not ready for that transitional period of rappers with very intricate styles... We didnt know the business well enuff to manipulate our way in so we went underground, but 'Elevation' was really making steam ! 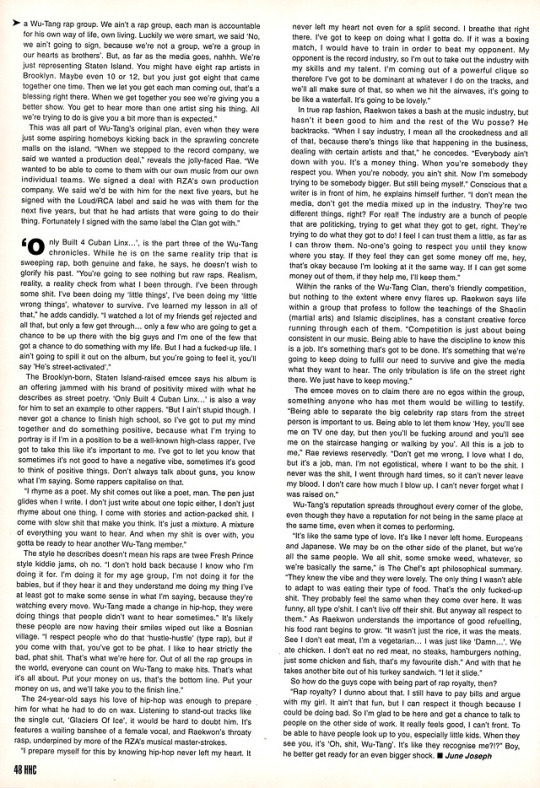 We pressed 1000's on records & tapes and had a distribution deal with tower records..."
The wax was released on Lah Lah Music Inc, their own indie record label. 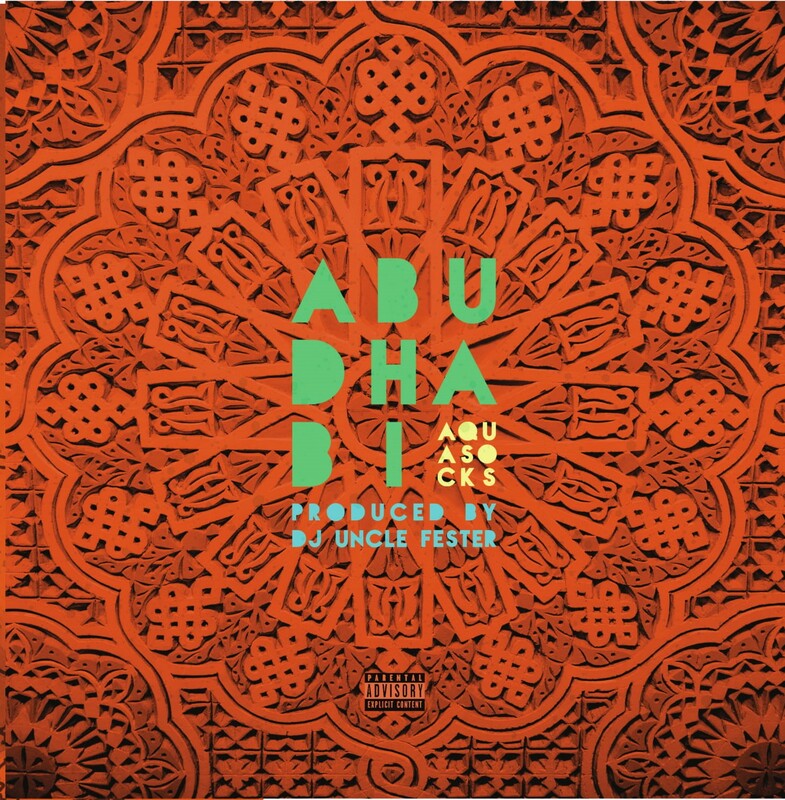 Both tracks was from the forthcoming project named 'Alpha & Omega' which never came out because they didn't finish it . 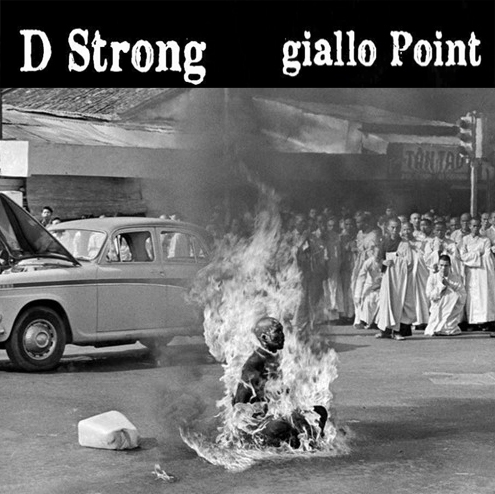 "In The Masters Footsteps" is the new D Strong's single produced by the UK-based producer Giallo Point. 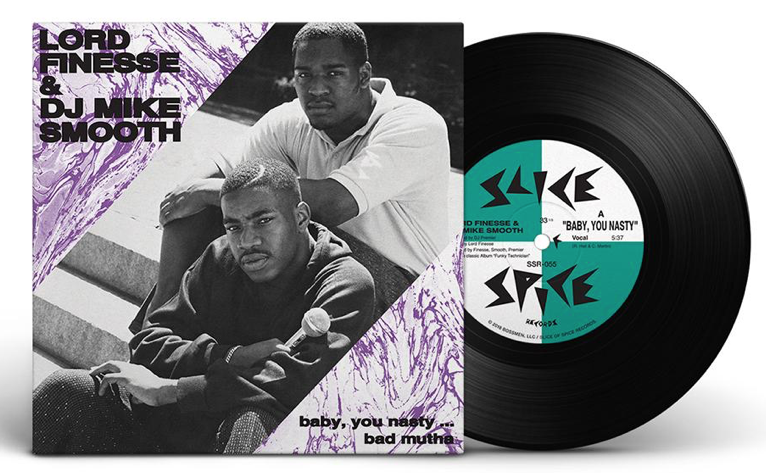 Lord Finesse - Baby You Nasty (OG Version) / Bad Mutha (Extended) 7"
Black Vinyl, White Vinyl or the limited 45 Bundle (Purple, White & Black + Bonus - Slice of Spice Website Exclusive) are available for pre-orders. Here is an episode of the 'Live From The Hood' radio show hosted by the Boodah Brothas. It was aired on July 1st 1995 on the Norfolk, Virginia based radio station WOWI (102.9FM). 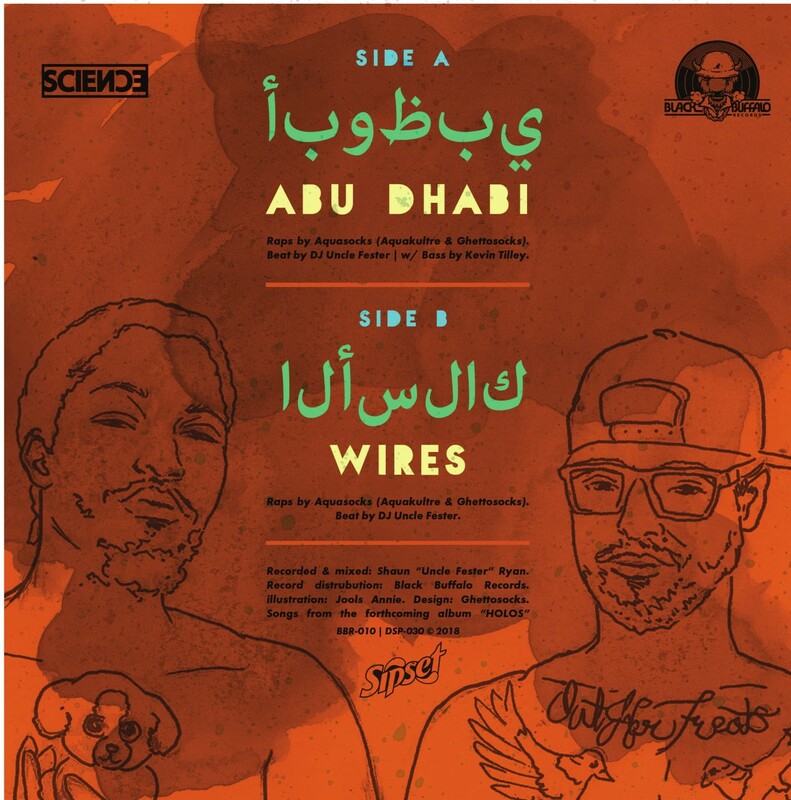 Don't miss the Dark Skinned Assassin interview and Freestyle on Side #2 and Wise Intelligent of the Poor Righteous Teachers on Side #3. 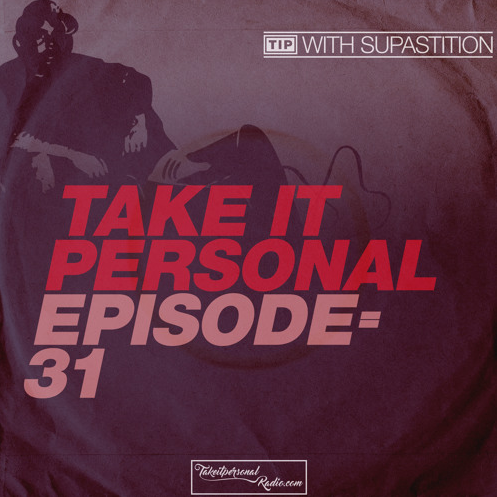 Props to DJ Problematik for the upload ! "Fresh off the hype of our Mytee G Poetic drop, Dust & Dope Recordings is proud to present it's first Canadian release Intrepid Stylez EP CD scheduled to drop in just a few weeks (early September, 2018). 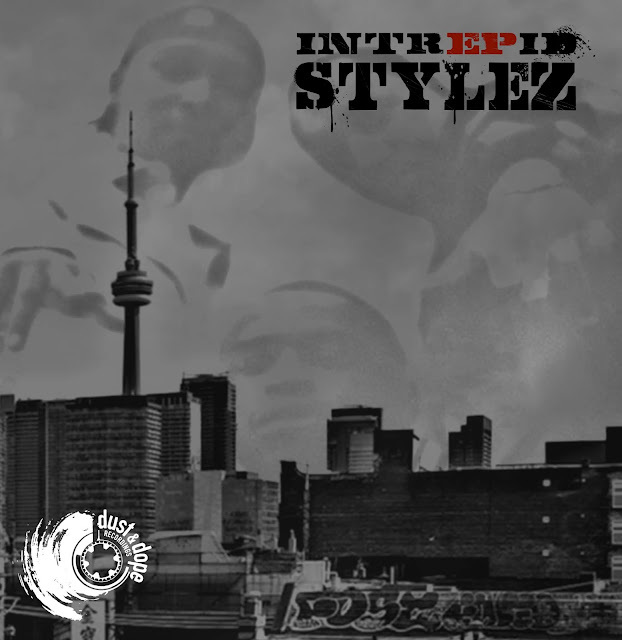 Representing Block 13, outta Toronto, Ontario, Intrepid Stylez was in fact born from a 1980's Bboy crew the Intrepid Street Rockers. 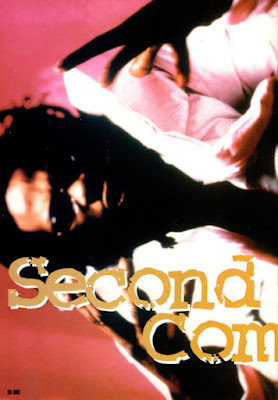 This limited one time CD pressing features 7 of the groups early demo recordings leading up to their independently released 1999 debut "Underground Connex". 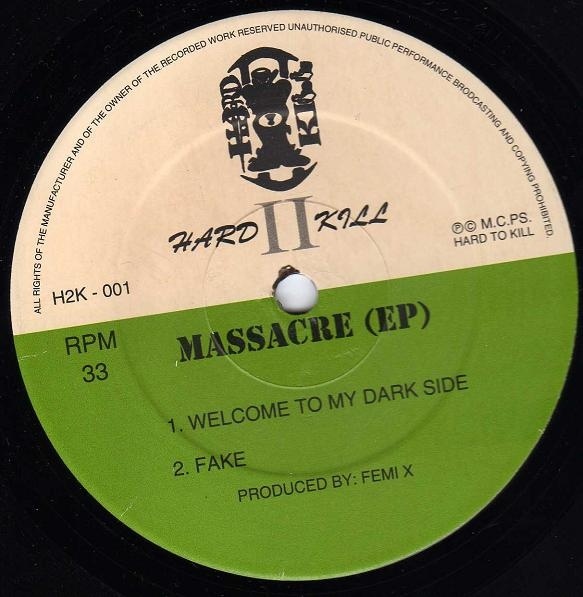 Recorded between 1996-1997, emcees Mast, Chill Da Bandit and Special each bring forth a ferocious rhyme style, complimenting the hard hitting productions of DJ Kama. Available September 2018... More info coming Soon ! 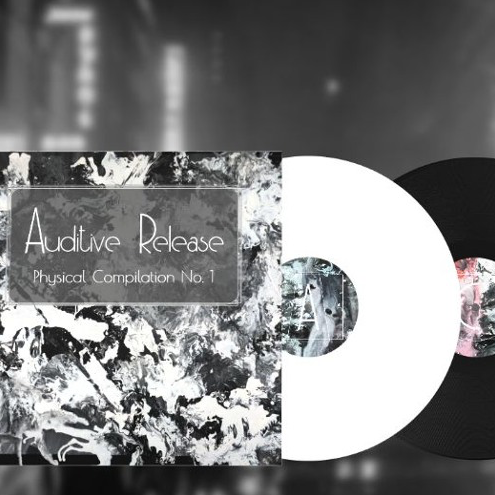 Limited vinyl format is still available courtesy of Chopped Herring records. 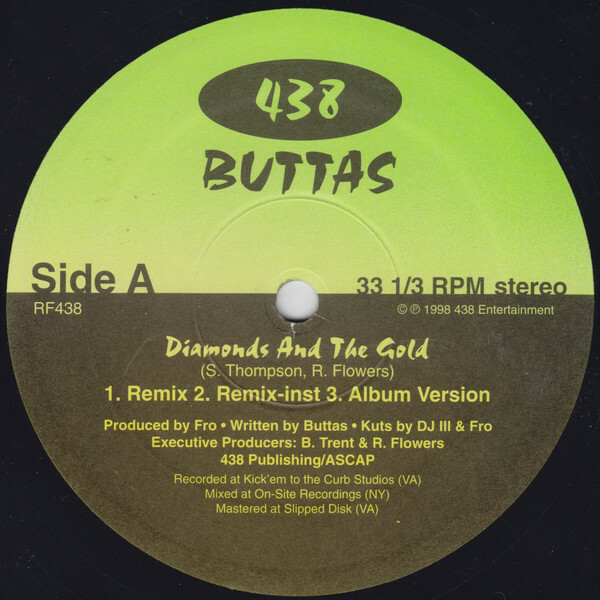 Back in 1998 with this rare 12" released by Buttas, a female emcee from Richmond, Virginia. It was fully produced by Ron Flowers a.k.a Fro or Fro Organix, also from Richmond,VA and came out on 438 Entertainment, a record label owned by a guy named Via and consisted of Baby Fro, Via, Brian Trent, Mega Roka and D'Angelo before she signed. 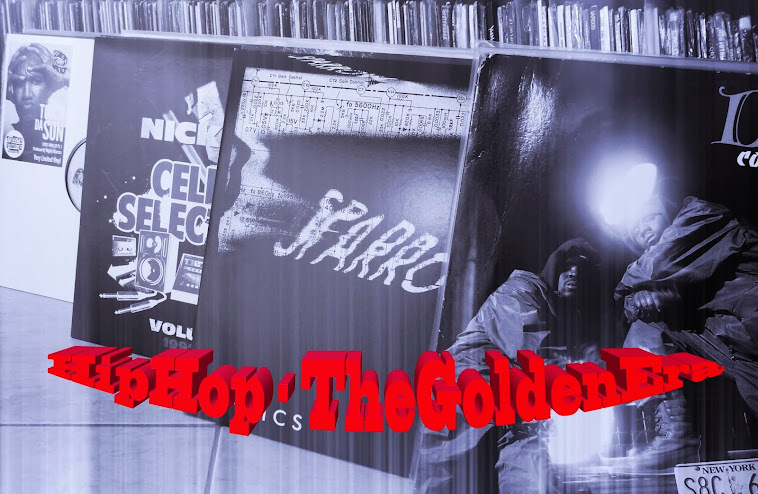 The wax is composed of two songs 'Diamond and the Gold' and 'Snake eyes', both available in their album, remix and remix instrumental versions. During a little chat, Buttas explained to me how everything started for her and what happened after the release of the 12", here is her story ! 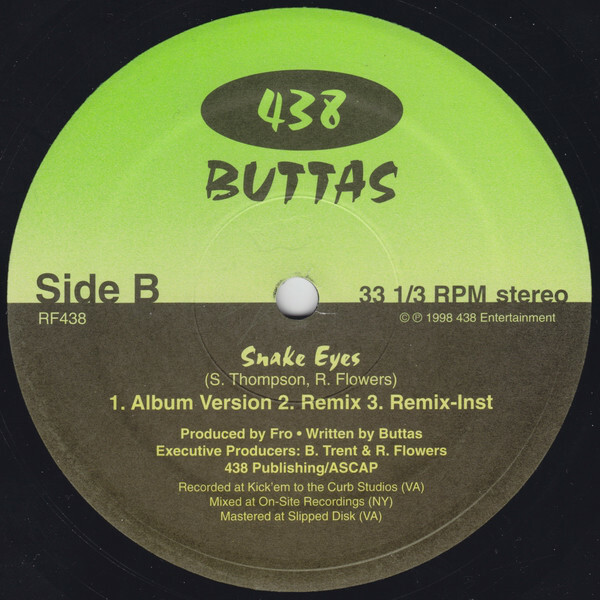 Buttas : "Well... I would always carry a notebook around starting in like 5th grade... 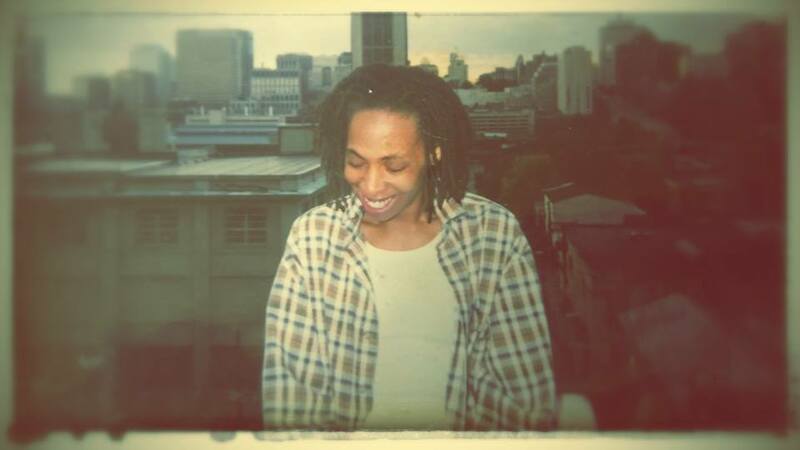 I used it for writing thoughts, attempts at graffiti and bubble letters etc... By middle school I had been drawn to hip hop...still with my notebook my writings became more organized..wrote my first song "My Lee Jeans" inspired by "My Adidas", Run DMC. I had piles of notebooks ... Kids around my way found out I could rap thru my peers. Started battling and being tested and boy was it fierce ! Never wanted to be an artist tho. Writing was my release. But by now the buzz was crazy ! By high school everybody knew, I was sort of forced to be in every one of what was known as the hottest High School Showcases in VA, Bill McGees John F. Kennedy Talent Shows now known as Armstrong High. In 96/97, one of my homeboys said he knew some people looking for a female artist. I was like 'nahhh dont want to be' but he set me up, introduced to an Emcee name Black who put me on the spot throwing any kind of words for me to spit to. 2 days later I met Baby Fro a.k.a Fro Organix and Via who owned 438 Ent. formerly I.D.U... The rest was history!" 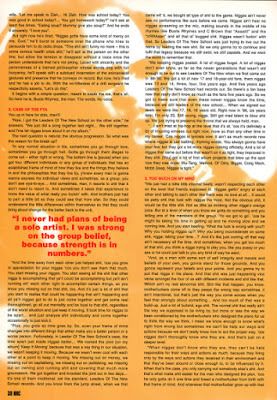 Buttas : "I went on to record over 100 songs. 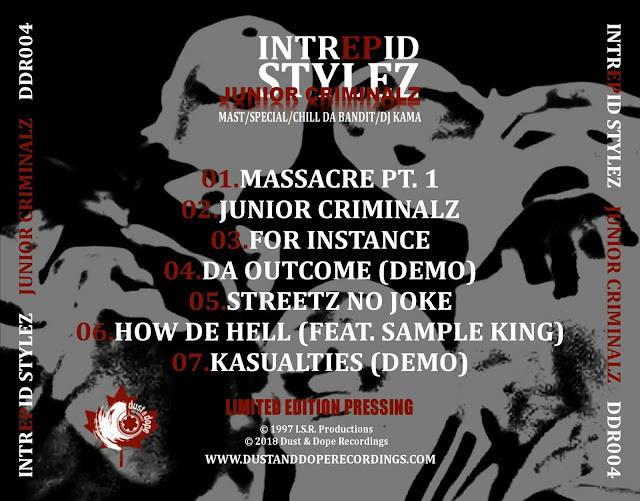 Released an EP on consignment called 'The Forgotten MC' which did very well. We started shopping the packages to record companies and meeting with labels who said and I quote 'you're to complicated, people don't want to think'..smh. It was discouraging especially since I never aspired to be an artist just because I could spit or write. However we did get an offer from a label whose name I won't mention but the offer was a 7 album deal with no creative freedom... RIGHT umm yea, no... How does an artist say she's/he's an artist with no creative freedom. I refused to compromise who I was. So after more struggling and personal issues playing a role, parted ways with 438 Ent. Never stopped writing or recording tho even now. 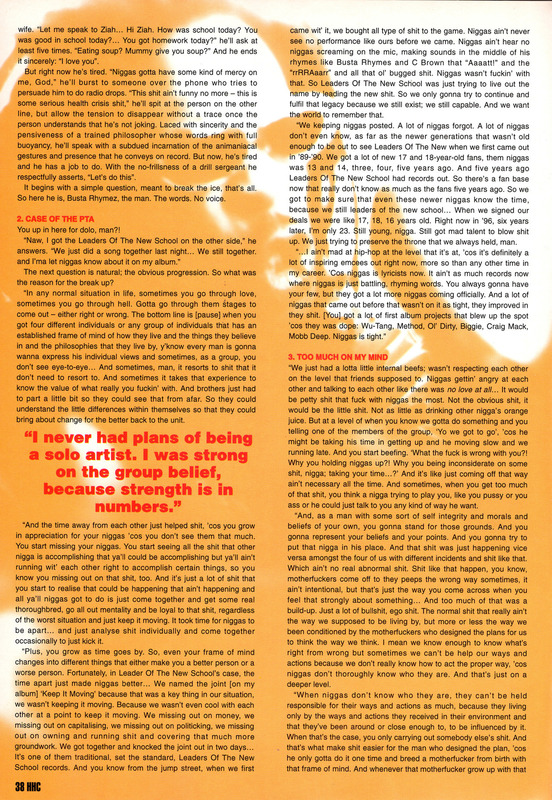 I went to school in NY for music business and engineering and became an Artist Manager. Was a partner in an Ent Company and made moves. I then took every experience I had in music and life and turned it into a show titled "Shaun Nicole's 2 Turntables & A Mic". 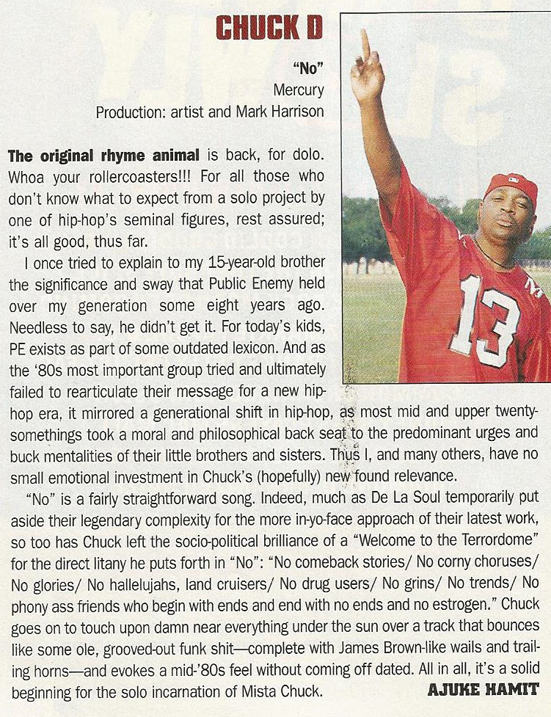 Inspired the Real BET's 106 & Park. My show educates and assists indie artist producers and eventually dancers. Its my life ! Currently under reconstruction with goals of major network TV." 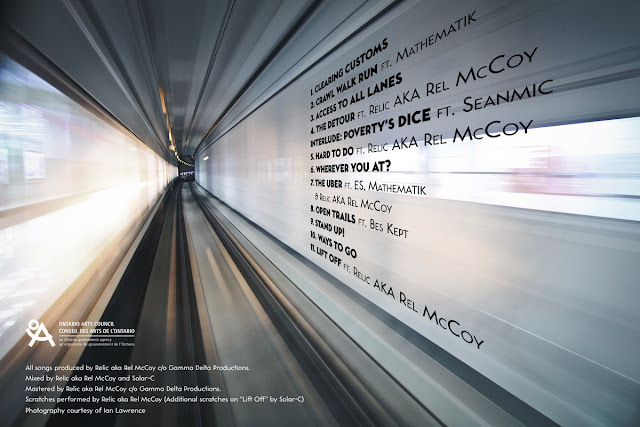 All songs produced by Relic aka Rel McCoy (Gamma Delta Productions). All songs written by C. Allum, M. Morley, L. Dash, E. Elango, S. Lambert, T. Coffey. New Crowdfunding Project featuring well known and upcoming artists all around the globe. 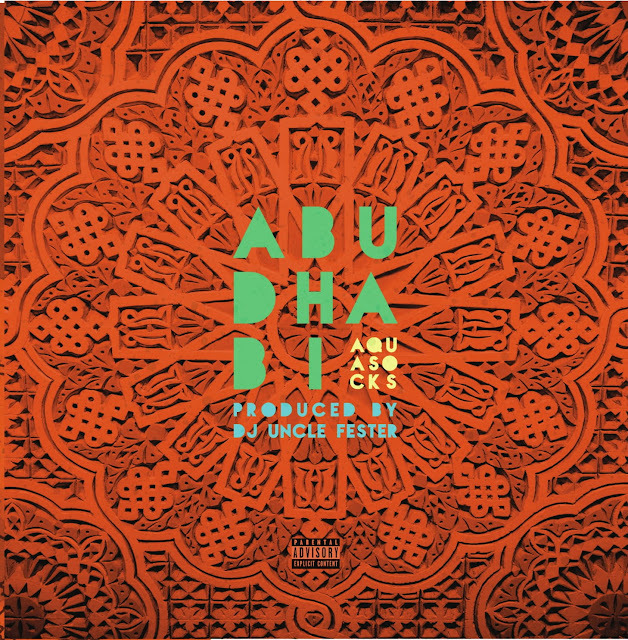 The wide range of sounds from juicy beats, melancholic boombap to lofi within the beat-scene are provided by artists like : AK420, Devaloop, drwn., EMERLD, Goersch, JoDu, Karavelo, khaderbai, Kilamdapro, KOE the Flavekid, Kuartz, Melodiesinfonie, MF Eistee, Msnthrp, nalim., ØDYSSEE, Otesla, Plactra, Remulak, S I M, Seneca B, Smoke Trees & Spaze Windu. 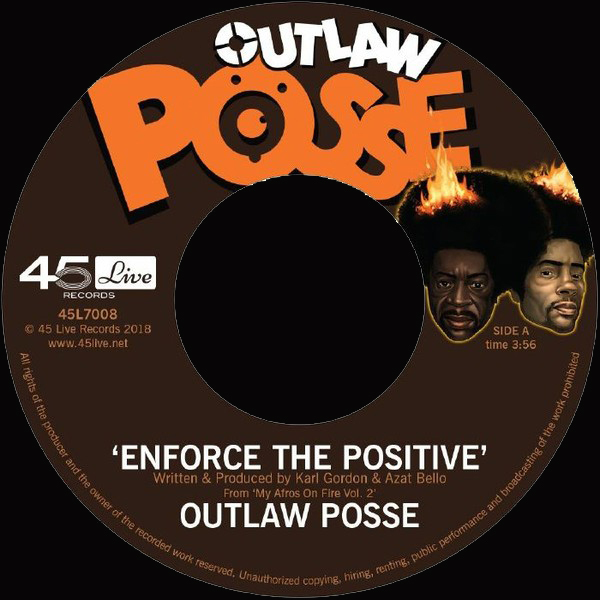 Outlaw Posse - Enforce The Positive / Living In Hackney 7"
"The early 90’s is generally referred to as The Golden Era when it comes to hip-hop, and rightly so. 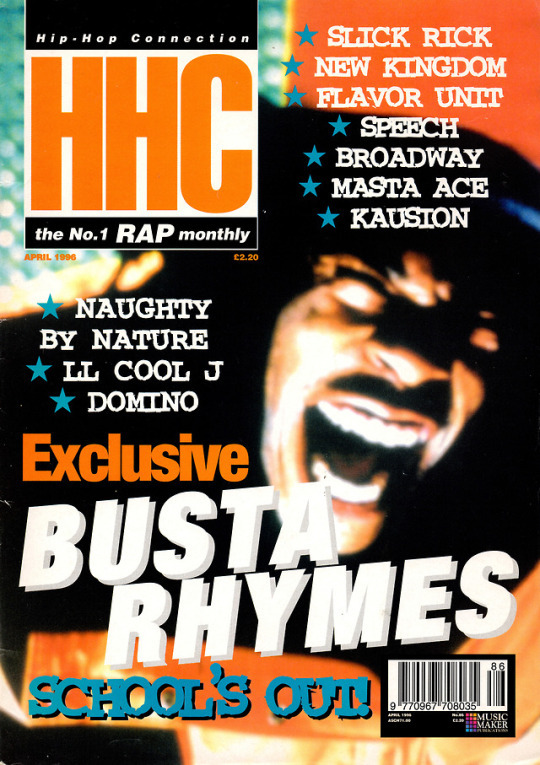 It was a time where sublime creativity - fuelled by the limitless sampling opportunities before the lawyers gathered steam - fused with positive attitudes to produce hip-hop music that was rich in musical gravitas whilst enforcing messages of love, political empowerment, social commentary and above all fun! 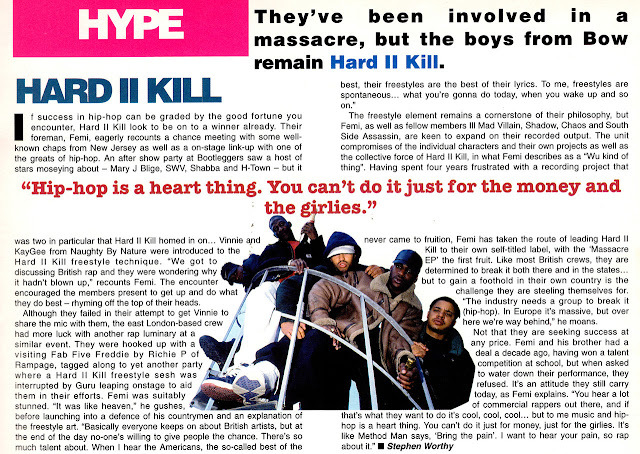 Over in the USA, groups like De La Soul, Gang Starr, ATCQ and the like brought jazz firmly into the fast-evolving hip-hop stew, mostly grabbing all the headlines, but over in the UK, there were some trailblazing crews too with Outlaw Posse definitely up there as one of the pioneering few. Outlaw Posse’s début album ‘My Afros On Fire’ (1990) dropped in the same years as Gang Starr’s masterpiece ‘Step In The Arena’ and ATCQ’s phenomenal ‘People's Instinctive Travels And The Paths Of Rhythm’, with all of them achieving spectacular results with their clever and intricate use of use of samples and positivity in their raps, it was indeed the original dope. 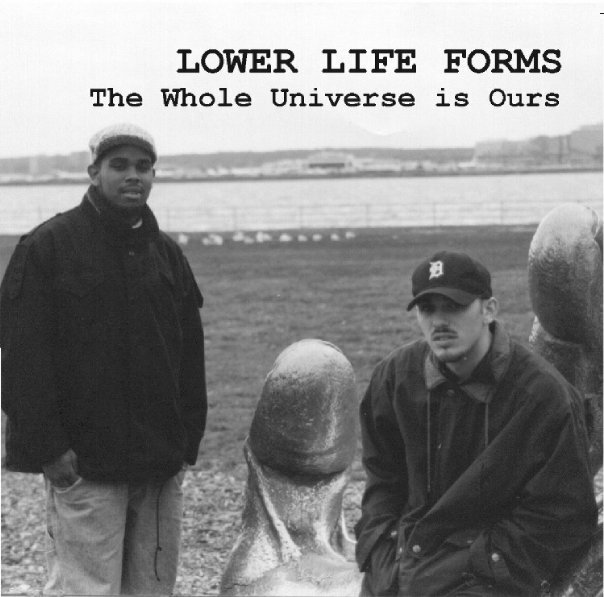 Lower Life Forms was an indie Hip-Hop duo formed by Zechariah Wise Dee from Washington DC and DJ Dial-Tone from Burke VA.
Zechariah Wise Dee : "Dialtone and I were in a group called Point Blanck in grade school (1988-1991). We disbanded in 1992 and formed the Lower Life Forms. We had an album in the can but things fell through with the label... First, it was Polydor. But the A&R was dragging his feet and we were managed by Ahmed and Otis (dancers for 3rd Bass). 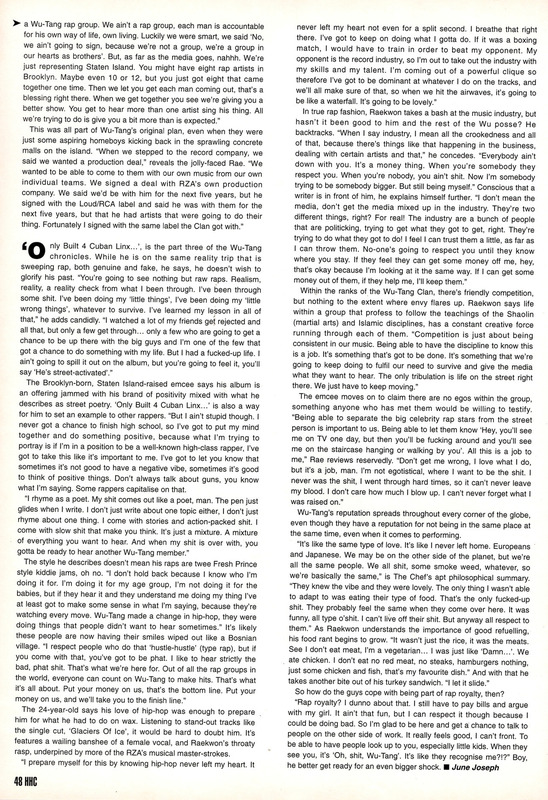 Pete Nice had started Hoppoh Records and they wanted to put the project out with them. Unfortunately, Hoppoh lost its distribution with Sony right as we were starting to get that together." 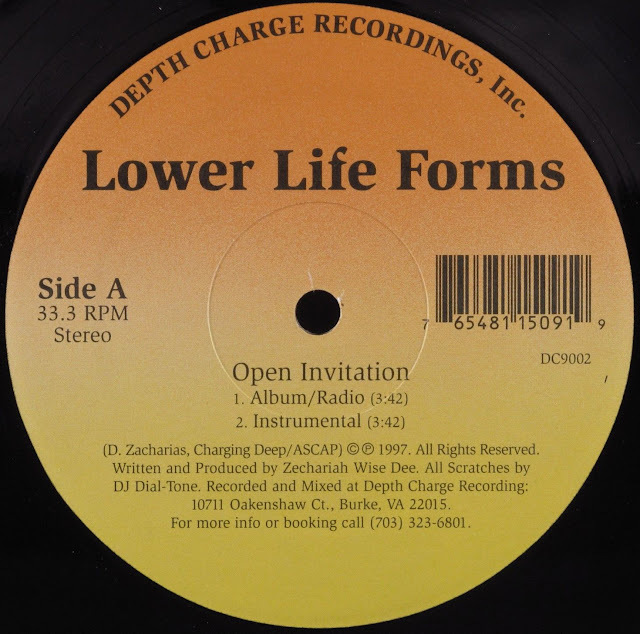 Then Zechariah Wise Dee formed Depth Charge Recordings in 1996 and put out the 'Open Invitation' single included two songs from that project. 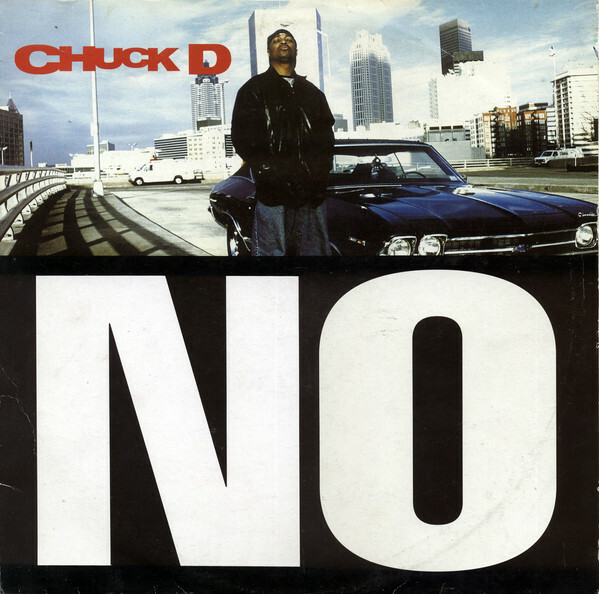 The single came out in 1997, 'Open Invitation' on the A-side and 'Independence Day' featuring Kurious & Optical The Visionary on the flip side, both produced by Zechariah Wise Dee. Zechariah Wise Dee : "We met Jorge through MF Doom. He was on Hoppoh Records. 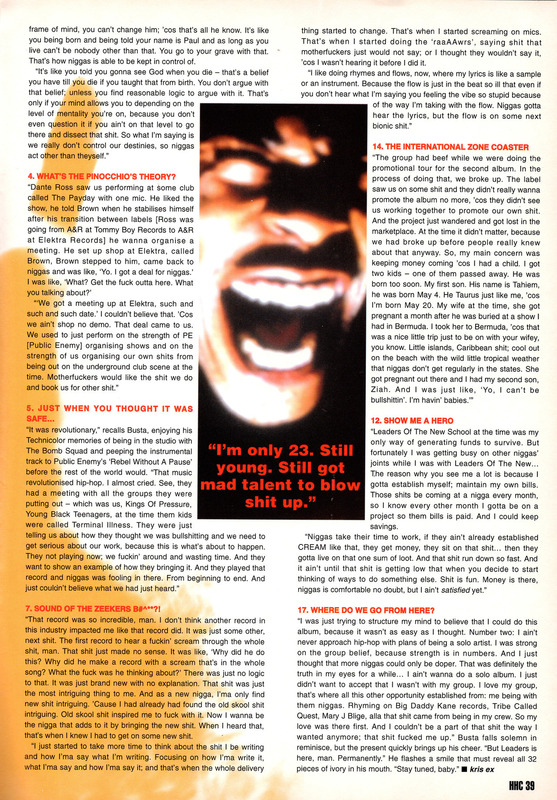 Him and Doom spent a lot of time in our neighborhood in the mid 90s so we were all hanging out all the time, our managers Ahmed and Otis being Doom's cousins. Jason a.k.a Optical was in our original group in grade school and we reconnected in 1994. About the samples used for the productions ... Hmmm... I was really into the ECM jazz label. I think I chopped the drums on 'Open Invitation' from Jack DeJohnette. Can't remember where the rest came from but there were quite a few chops and cross edits going on. 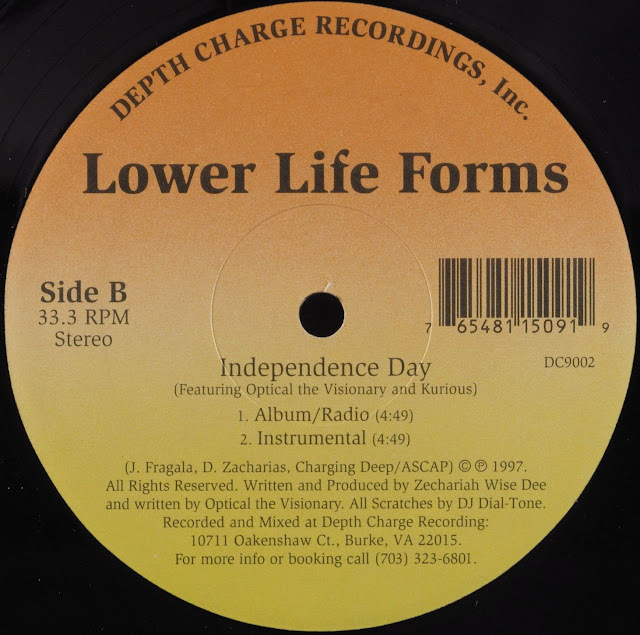 The samples on 'Independence Day' are either Gary Burton or a group called Double Image (both on ECM.) I put in heavy work on both so I had no intentions of clearing them. Probably why I don't remember that well." 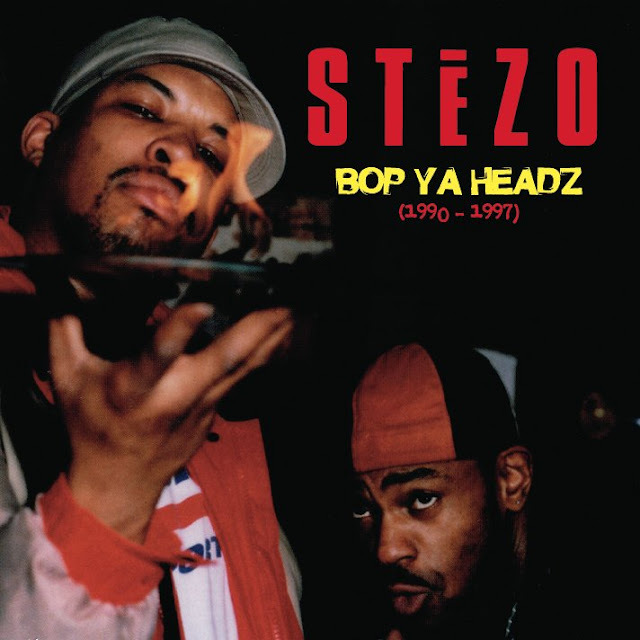 Only 750 copies of this single were pressed. The wax is rare but you can find a few copies for sale online for an affordable price. After that, they didn't release the shelved album named 'The Whole Universe Is Ours' on Depth Charge Recordings but decided to work on their new project. 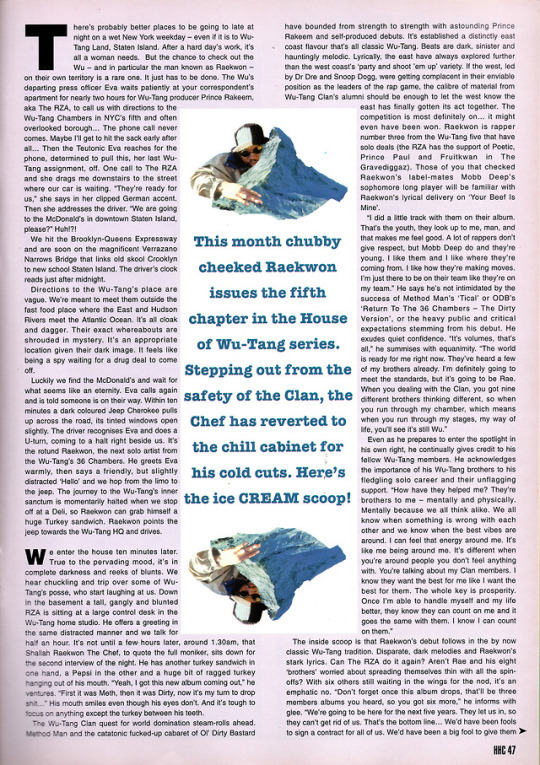 Zechariah Wise Dee : "We had a crew of all the artists we worked with called Team Demolition (kind of like our own Native Tongues.) We decided to do a project together. We did a single called "Dirty Gusto" and it blew up for us so we shifted focus to that. I did do a limited Cd run of the Lower Life Forms album a few years later. 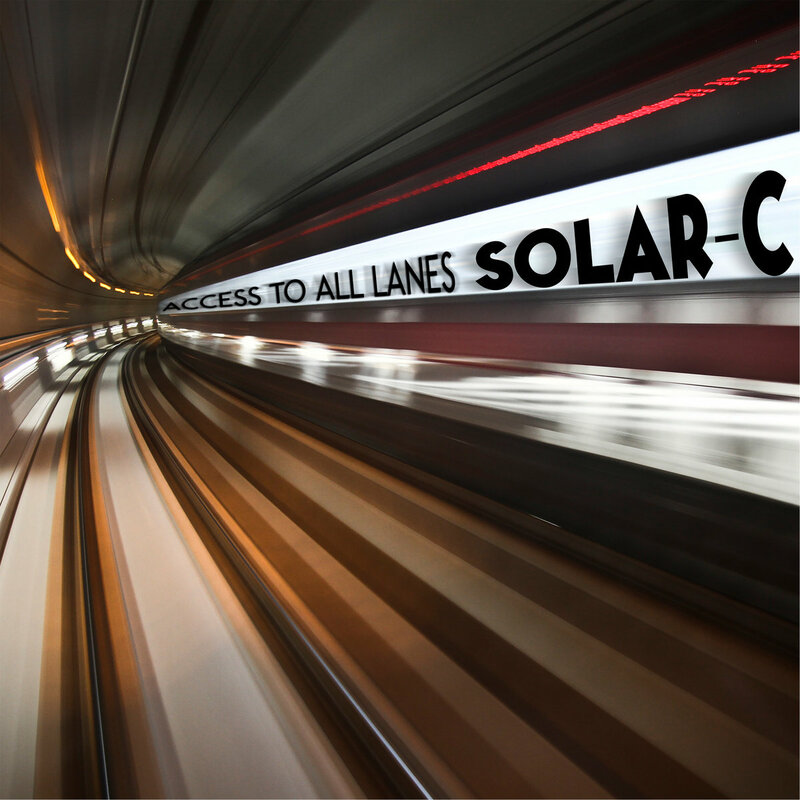 Over the past couple of years I have been approached by several entities interested in releasing it on vinyl. If I do, I want to remaster it. I've done a little bit but I'm just so busy that it is taking a while, the stuff was all recorded on tape so it needs to all be transferred. My goal is to have done by Jan 1." well, I hope that the album could see the light of day on vinyl, there will be a place on my shelf for it without a doubt ! Mad Props to Daniel Zacharias a.k.a Zechariah Wise Dee a.k.a Mister Wise. HipHop Enterprise is Back !